Hide this Project (Casagrand Cherry Pick) Discover properties in other projects by hiding the ones that doesn't interest you. You won't see them in your searches further but you can unhide anytime later. Hide this Dealer (Muralidharan) Discover properties by other dealers by hiding those whom you have already spoken to. You won't see them in your searches further but you can unhide anytime later. Casagrand Cherry Pick is a residential project of Casagrand which is located in Chennai and is in close proximity to several prestigious gated communities, reputed schools, and shopping malls. The project is well equipped with all modern amenities having 1BHK, 2BHK, 2.5BHK, 3BHK and 3.5BHK apartments and 24X7 security service to facilitate the needs of the residents. The project is spread across 7.42 acres, offering 380 units on sale. Perumbakkam is among the most promising suburbs of South Chennai having witnessed some extensive realty developments. The growth of the locality is backed by the growth which is pretty evident in the neighboring IT hubs like Old Mahabalipuram Road (OMR). Proximity to other important city locations like Medavakkam to the north, Sholinganallur in east, Sithalapakkam in west and Chemmencheri in south, also worked in its favor. This locality is just 15 km away from the Chennai International Airport and sits close to the railway station of Velachery. There are also plans to construct a 60 feet road from Perumbakkam to Siruseri IT Park, which is expected to boost the capital values in Perumbakkam. Chennai is one city which has a quite attractive realty market, with a rapidly developing neighborhood. Even the infrastructure development in the city has led to increased property demands here. The main city locations are crowded, hence there is very less scope for new projects to be launched there. The suburban areas of the city are flooded with a number of realty projects, and the improving infrastructure has been the game changer here. These city fringes are sufficient enough to accommodate the booming population. Where is Casagrand Cherry Pick located? Perumbakkam, a prime residential locality for house seekers in Chennai South. What are sizes of apartments in Casagrand Cherry Pick? 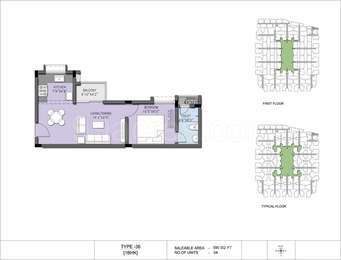 The apartment sizes in the project range from 590.0 sqft to 1768.0 sqft. 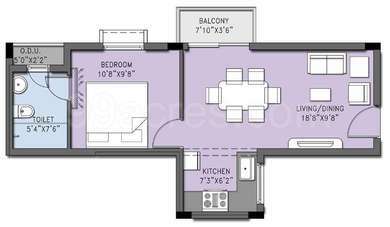 What is the 2 bedroom size in Casagrand Cherry Pick? 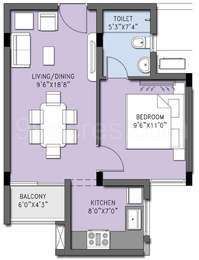 2 BHK units in the project are available in a size of 1187.0 sqft to 1433.0 sqft. What is the area of 3 bhk in Casagrand Cherry Pick? Three-room units (3BHK) in the project are available in an area of 1385.0 sqft to 1768.0 sqft. What is total size of Casagrand Cherry Pick?The project is built over an area of 7.32 Acres. Casagrand Builder Private Limited est. 2004, is an ISO-certified real estate enterprise committed to building aspirations and delivering value. In the last thirteen years, we have developed over 12 million sqft of prime residential real estate across Chennai, Bengaluru, and Coimbatore. Over 6000 happy families across 68 landmark properties stand testimony to our commitment.